To be a memorable villain, you must have an undeniable sense of style. 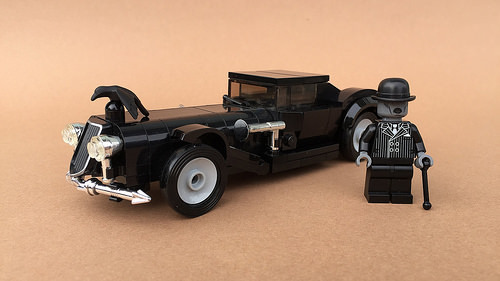 Jonas Obermaier knows this well, and has built a slick Art Deco roadster for a spooky 20s fiend. With curves, chrome, and a crow hood ornament, this devilish car would no doubt strike terror into anyone it stalks from a paranoid-inducing distance.